Rainbow Precision stocks a full line of roller chain sprockets, and bushings for use in many different industries, including aggregate, food, and packaging. 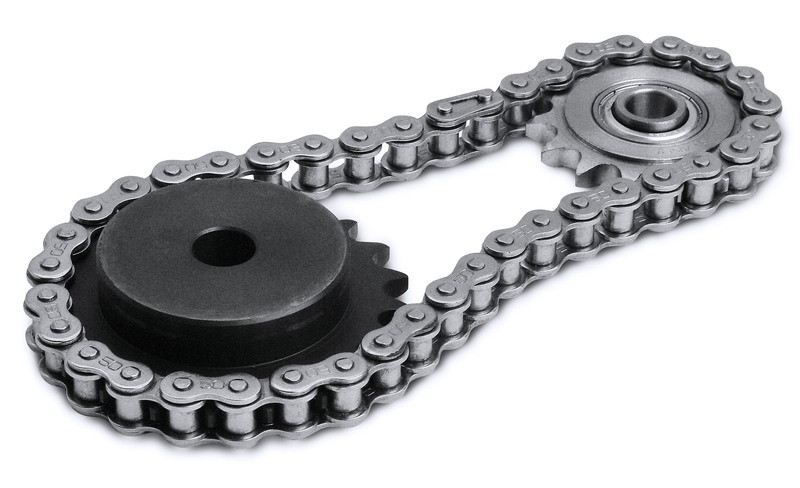 Our solid roller chains are heavy duty, designed with heat-treated side plates and pins to withstand heavy shock load and severe conditions. All roller chains are pre-stretched. The roller chain sprockets offered are in inch dimensions, with standard keyways and two set screws, with or without hardened teeth, and also are offered in stainless steel. Bushings are made as an insert for sprockets, to accept metric and inch bores. We offer timing chain replacement, re-bores, and custom machining upon request.